Through the use of a mascot head, iGGi is the perfect representation of DJ iGnite. 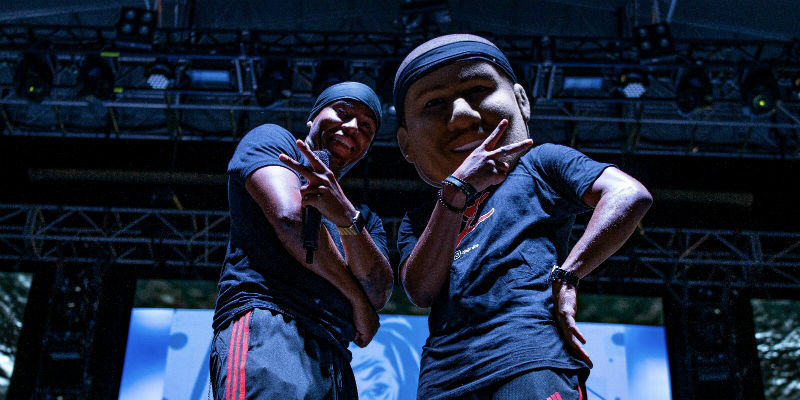 The mascot features the DJ’s features and charming smile, as well as the bandana that DJ iGnite often wears when he performs. As one of the hottest DJs coming out of the Bahamas, DJ iGnite is paving the way for Bahamian disc jockeys. A current Resident DJ at Bond Nightclub SBE, Privilege Pool SLS, Skybar SLS and the Albany Resort in the Bahamas, DJ iGnite is also the exclusive sound for the PGA Tour Hero World Challenge and the headliner DJ for Albany’s famous New Year’s Eve White Party. Only a few years into his DJ career, iGnite’s unique and versatile skills have already given him the opportunity to open for DJ Jazzy Jeff, Boyz II Men, Lil Jon, Nelly, Tory Lanez and also play for Justin Timberlake, T.I, Russell Simmons, Tiger Woods and many more. He is well travelled and his sound has been heard around the globe as he is sought after by many organizations to play worldwide. DJ iGnite is hugely passionate about the music he creates, and the music scene as a whole. “Music makes people come together because it has no borders, no race, no color, no ethnicity, no limits of country,” he said. Why are mascots so important when it comes to building a brand? Just like DJ iGnite, many organizations, sports teams, charities and businesses have had great success from leveraging mascot marketing to create a story for their brand and appeal to their intended audience. In fact, a mascot can strengthen your brand identity and significantly help your brand to become more recognizable. Whether you are trying to raise the awareness surrounding your brand, increase sales, or reach a new audience, a mascot that sums up the story behind your brand can help drive your business. Want to create your own brand mascot? With organizations and brands all over the world using custom mascots to promote their stories, it may be the case that you’ve decided to join them - if so, you’ve come to the right place. 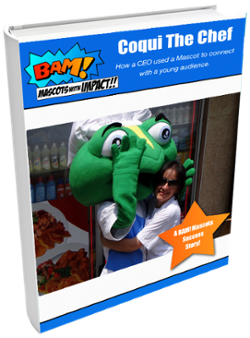 The BAM Mascots team has more than 35 years’ experience, creating high-quality, durable, professional mascot costumes for all types of organizations, from sports clubs to consumer-facing businesses. Want to find out how we can help promote your organization by creating a unique mascot that tells the story behind your brand? Contact BAM Mascots today, we’d be more than happy to help.